Whether you have asthma or allergies or not, using paints that are low in or have no VOC (volatile organic compounds) is a good idea. As certified green professionals, we tend to recommend that you use this type of paint during construction or remodeling of your home. They are more affordable than they used to be and you will be doing yourself a favor in more than one way. When it comes to choosing the color you want to paint your walls, don´t be shy about testing brighter colors or different hues than you are used to. Most new Florida homes are painted white or off-white as a standard color. If you want to add depth and play up certain areas of the home, you can try painting just one or two walls a different color. Depending on the colors you use, you can achieve different ambiances and depths. With a long history in interior design, I (Dawn Burke) will be glad to take you through the fun and exciting process of repainting your home, whether it is a stand-alone process or a part of a larger remodel. As a Certified Green Professional, I can also recommend the best environmentally friendly paints for your particular project. If you can´t take on a larger-scope remodel at this moment, keep in mind that changing the color and even the texture of your walls can make a big impact on the look and feel of your home. Call us and let us work with you, within your budget and keeping in mind your needs and wants. 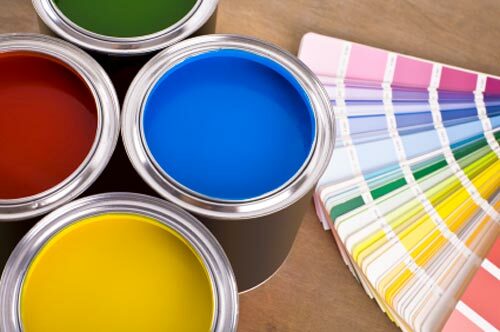 A little paint goes a long way towards making your house into the home you want it to be.